Honda recently announced that their new 2017 Honda Pilot would be available with CarPlay and Android Auto. This feature will be available on their EX models and above in certain markets. The vehicles will feature an improved 8-inch touch screen with an all new anti-fingerprint coating. The new touchscreen infotainment system will be fully equipped with the software. This three-row SUV is the latest Honda that will have the CarPlay software. There are several other vehicles Honda produces that also has this equipment. Some of these cars include the Honda Accord, Civic, Clarity, Ridgeline and CR-V. The company has yet to release more information about the CarPlay services, like if it will support wireless connectivity. CarPlay technology is currently available in over 100 different vehicle models worldwide. It provides drivers hands-free access to iPhone apps like Maps, Music, Messages and more. It also gives users access to select third-party apps. The 2017 Honda Pilot will go on sale later this year in certain markets. If you are looking to purchase a new #Honda or are interested in looking at some options, come see us at Formula Honda. 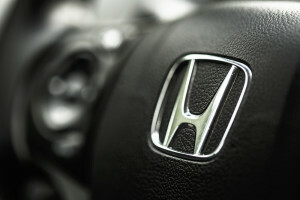 For more information about what we currently offer, check out our website at www.formulahonda.com.